It has etching and marked federal law forbids D-126. The etching is roses in center with wheat tied with a bow almost circling the roses. Just found and I dont know what it was or how old. Any help would be great. 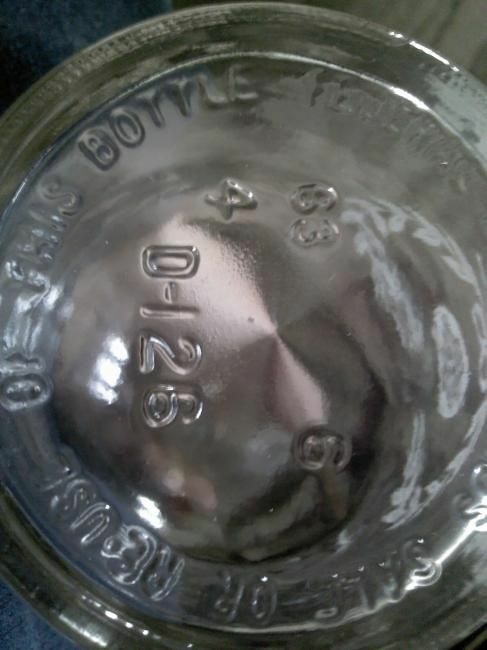 I am fairly sure that D-126 indicates the Seagrams Company. I seem to remember that they produced a series of "replica" decanters. 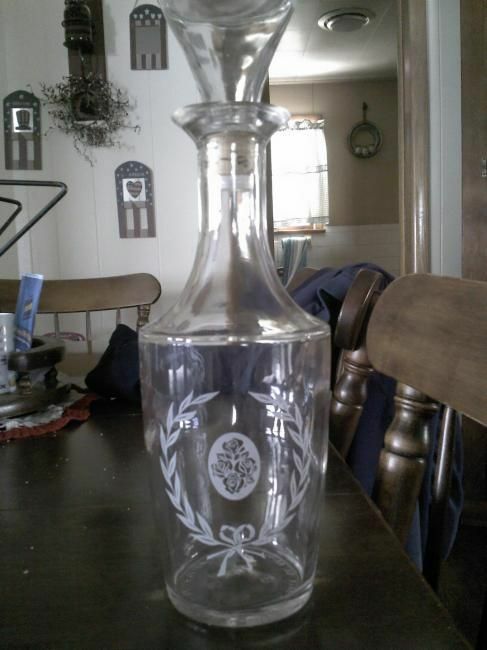 Check around on ebay by searching on "Seagrams vintage decanter" and look for similar examples.